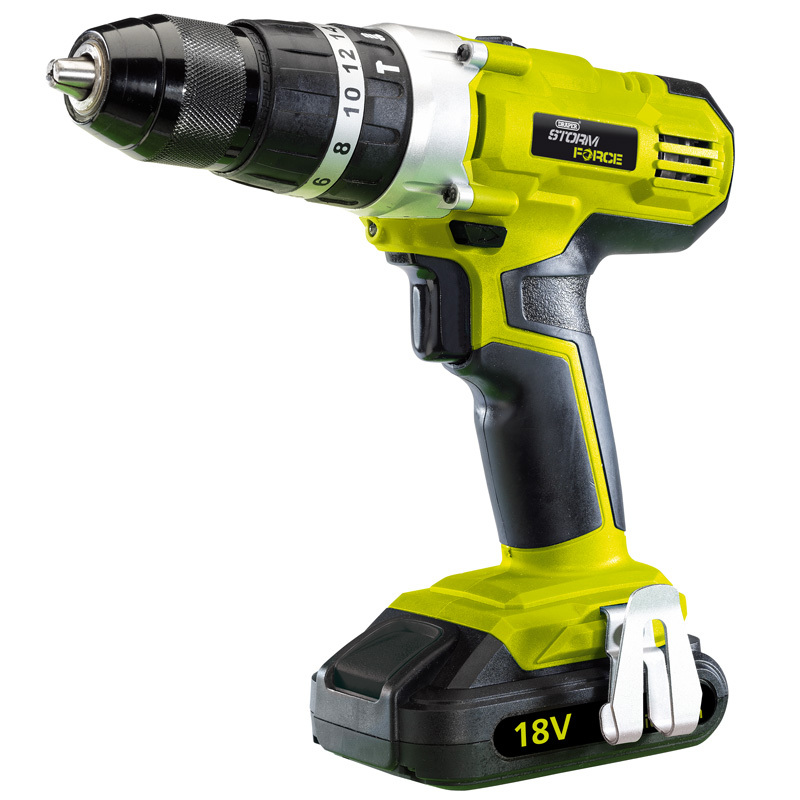 A formidable 18V combi-drill powered by 1.5Ah Li-ion battery. Each drill contains a mass of innovative features, including a high-powered 2-speed motor with 16 torque settings and an integrated work light. These features coupled with its light 1.7kgs construction and soft-grip handle provide a comfortable unit to use. Each drill is supplied with a 1.5Ah Li-ion battery; one-hour quick charger and a heavy duty carry case. A superior quality cordless drill delivering the power and endurance essential for a host of professional trades.